THE future of a Kildare primary school has been secured and will reopen as a multi-denominational community national school, Fine Gael TD for Kildare South, Martin Heydon has said. Deputy Heydon, Chairman of the Parliamentary Party, said he was delighted that agreement has been reached with the Archdiocese of Dublin enabling the primary school at Brannoxtown, Co Kildare to continue to serve the local community under new patronage of Kildare Wicklow Education Training Board (KWETB), as a multi-denominational community national school. Deputy Heydon said: “Having worked closely with the Save Our School Brannoxtown, I am delighted that their hard work has paid off. “Brannoxtown National School closed in December 2017 after being open for over 133 years. The local community were devastated last year as their school face imminent closure but a number of dedicated local residents were unwilling to let that be the last of our school. “A fine school extension was only opened a little over four years ago; we simply could not let a situation persist where a primary school was lost to the area. “I want to acknowledge the long legacy of education in the area that the Archdiocese has managed for many decades, and I wish the KWETB well in re-establishing what will now be a multi-denominational community national school for Brannoxtown. Minister for Education and Skills Richard Bruton said: On foot of a request from the local community for the continuation of primary school provision in Brannoxtown under the patronage of the Kildare and Wicklow Education and Training Board, the school will operate as a multi-denominational community national school under the patronage of KWETB. “I want to thank the Archbishop of Dublin for making Brannoxtown National School available for multi-denominational education. 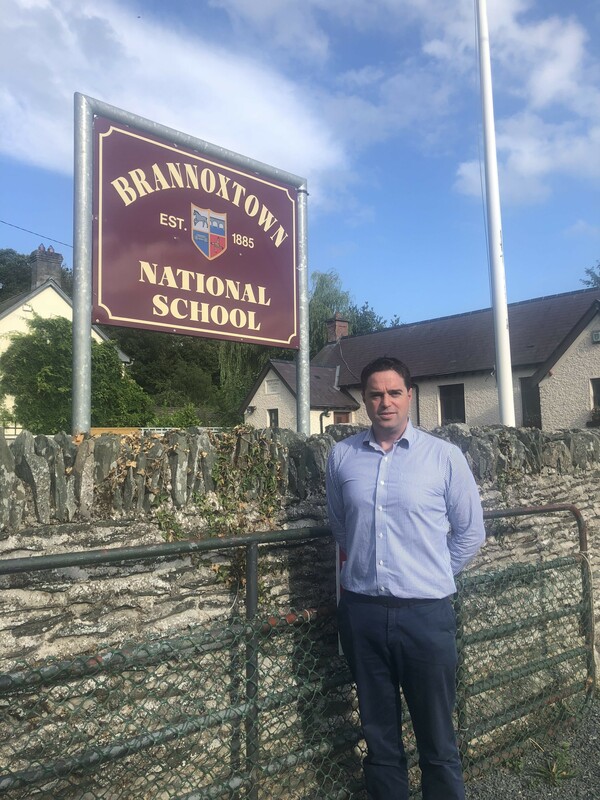 The school’s new patron, KWETB, will be consulting further with the local community in relation to arrangements for the re-opening of Brannoxtown national school as a community national school. “In January 2017, I announced new plans aimed at providing more multi-denominational and non-denominational schools across the country, in line with the choices of families and school communities and the Programme for Government commitment in this area. “This new Schools Reconfiguration for Diversity process, which is underway and involves the transfer of live schools, has the potential to significantly increase patron diversity in our school system with a target of reaching 400 multi-denominational and non-denominational schools by 2030,” Minister Bruton said.